Grizzly T27790 - Polishing Kit, 4 pc. 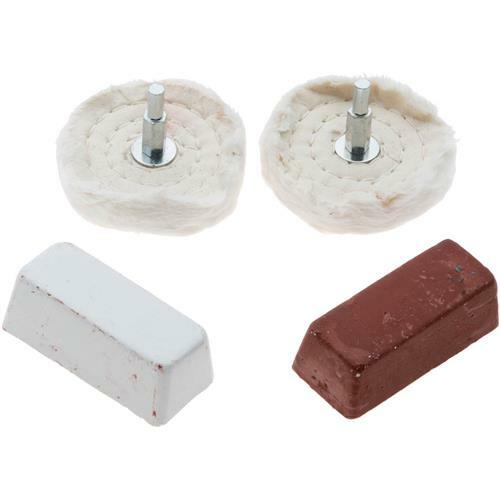 This kit will have you buffing in no time - includes 2 muslin wheels with 1/4" shanks and 1 each brown and white 110 grit polishing pastes. Don't slow down your buffing, just use one wheel for each paste and buff away!